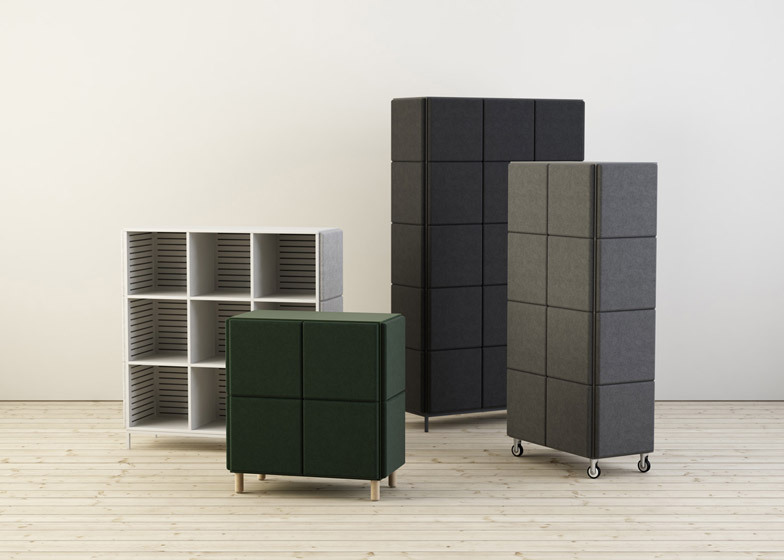 Stockholm 2015: office furniture brand Glimakra has released a collection of storage units that can also be used to reduce sound and partition areas in open-plan workspaces (+ slideshow). 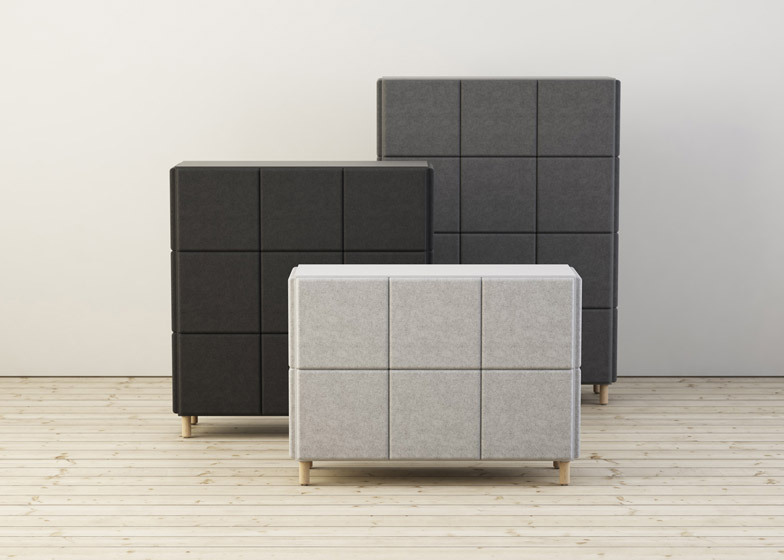 The sound absorbing properties of the Sabine collection are obtained by cladding the slotted body of the furniture in a shell of moulded polyester felt with sound absorbing foam. 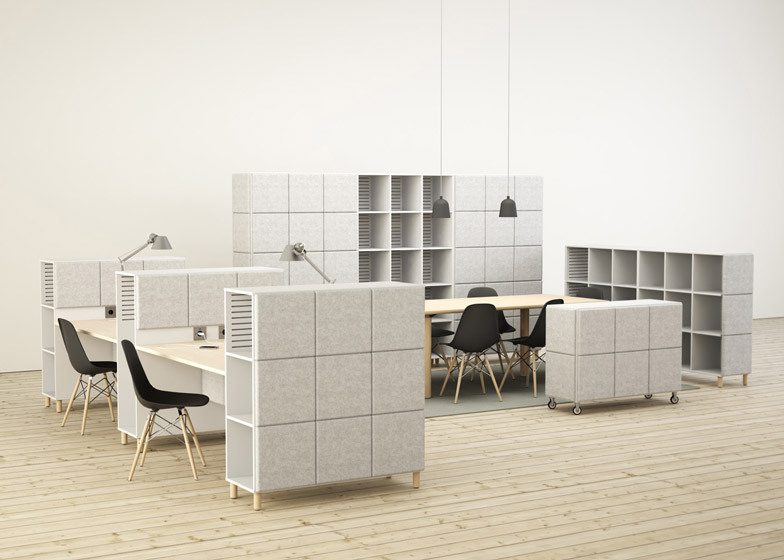 "The need is well defined – open floor plans in general and activity-based workplaces in particular, need to be supplemented with specific products to achieve a functional acoustic environment," said designers Johan Kauppi and Bertil Harström, both from Sweden. 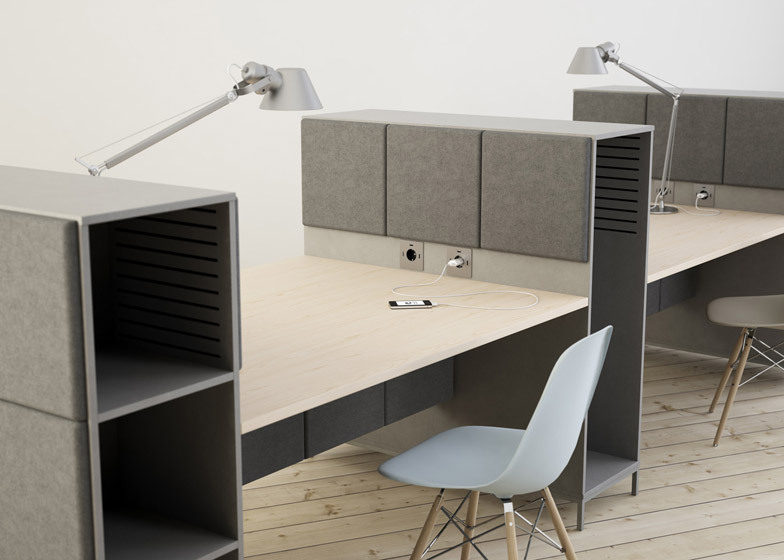 "With Sabine we integrate the acoustics with the other needs in the workplace and the result is a system of sound-reducing furniture and workstations," they said. 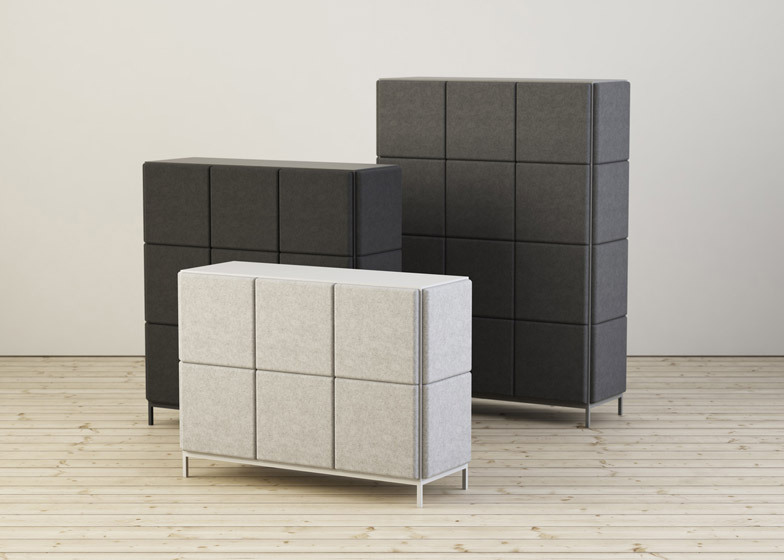 The storage units are available in four widths and four heights, all 396 millimetres deep so they can be connected and grouped together. 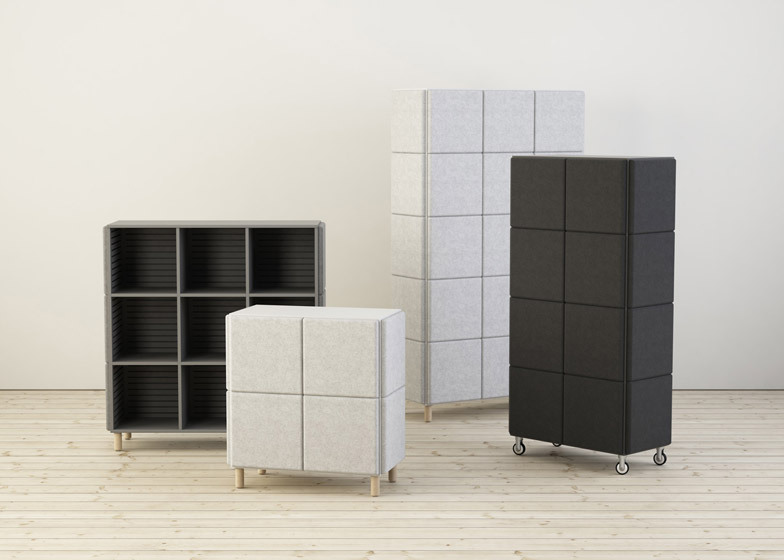 "Sabine is an effective storage furniture system that is sound absorbing, sound reducing and room dividing," said Klas Hagberg, head of acoustics at WSP Acoustics Sweden, who advised on the project. 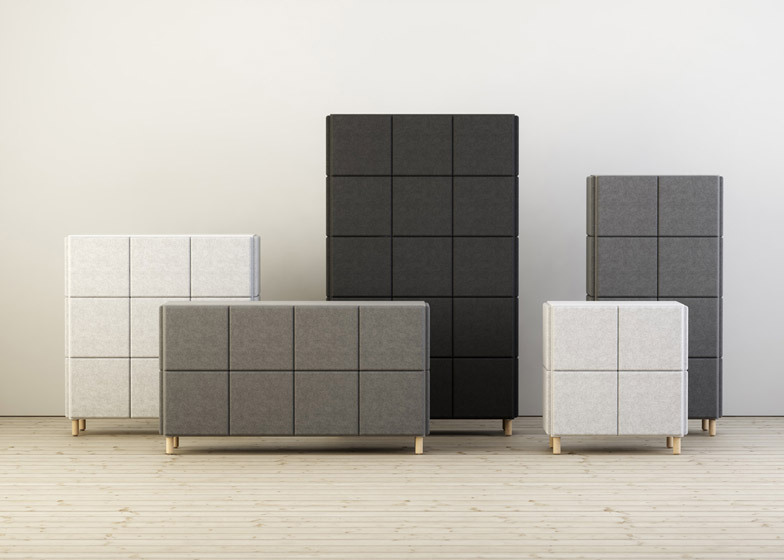 "The pressed felt shells on the outside of the furniture interact with the slotted body in a way that creates a smooth and good sound absorption across a wide frequency range from 125 hertz to 4000 hertz. 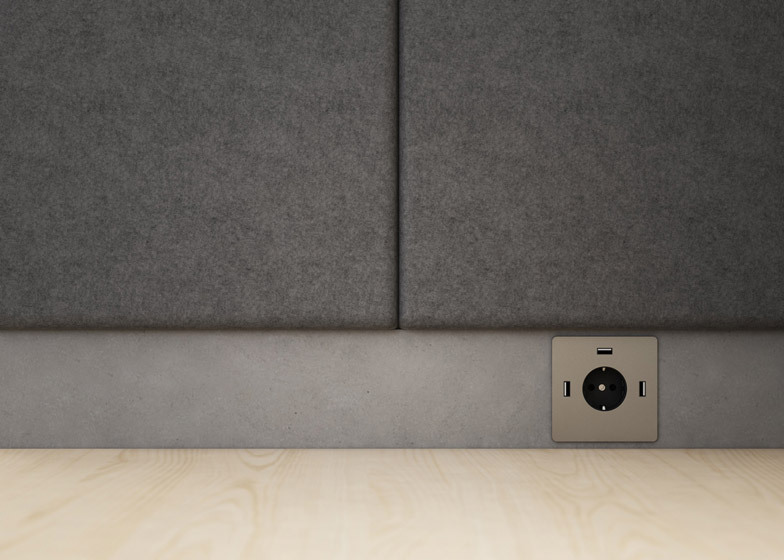 The sound absorption is actually considerable even at very low frequencies, say 63 hertz." The felt is available in anthracite, grey, white and green. 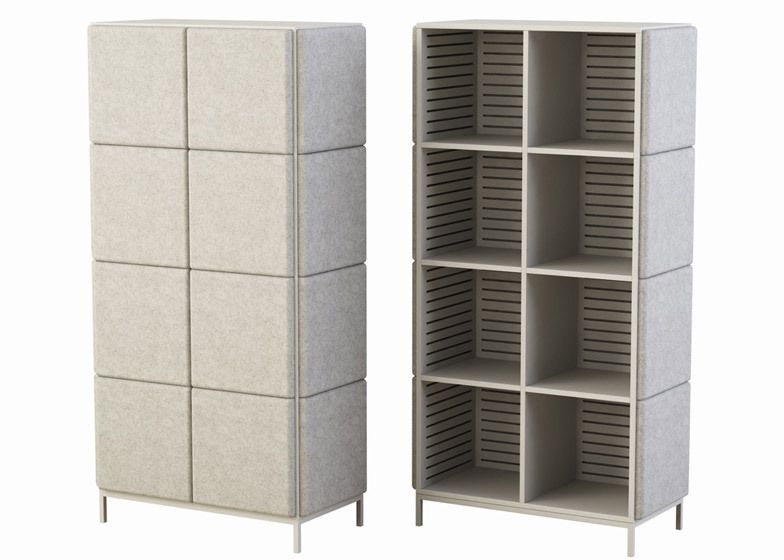 Body materials can be painted MDF or dyed Valchromat in black, grey or green. 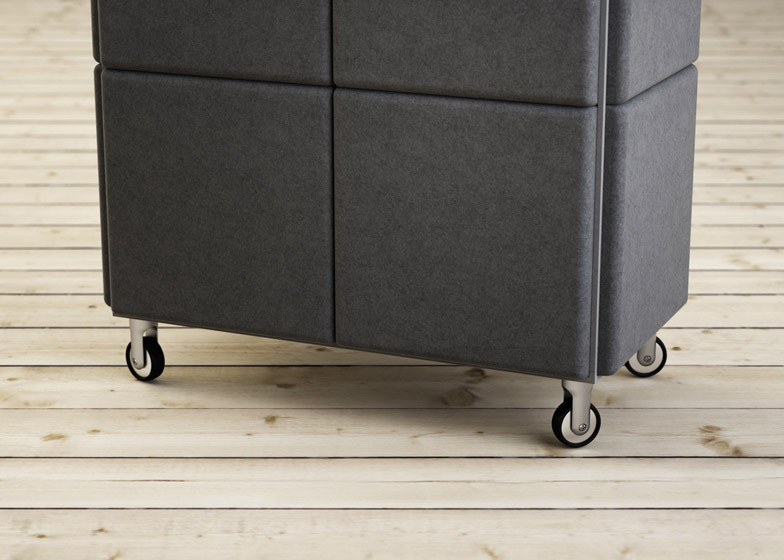 Sabine comes with four choices of leg: round supports in solid ash, a brass or powder-coated metal frame, and aluminium wheels. 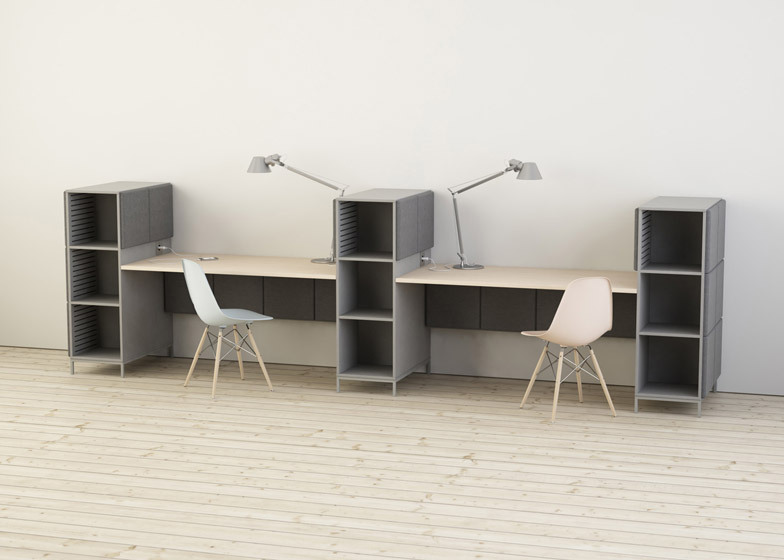 The collection was launched by Glimakra at last week's Stockholm Furniture Fair, where Artek unveiled a range of tables and shelving based on a bent steel component. Photography is by Johan Kauppi.